On a visit down to Charleston this past spring I wrote about the Rockville Regatta – one of the preeminent lowcountry sailing fests of the year. The Rockville Regatta (NASCAR meets Wimbledon) is still forthcoming but here’s an article on last weekends “Lowcountry Regatta” sponsored by the Beaufort Yacht and Sailing Club. According to the article it was a resounding success - over 95 boats in the Beaufort River “…looping around markers and fighting for the coveted silver cups, while food, clothing and Bluegrass entertained the landlocked spectators.” Most surprisingly they had 15 to 20 knots of breeze Saturday. 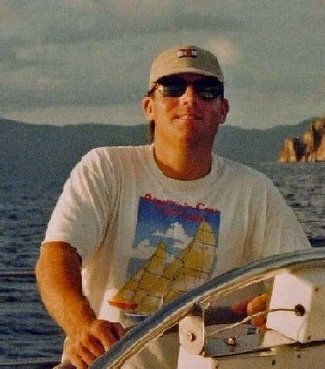 I sail as far south as the Chesapeake and, through this experience, have realized that summer in these parts is not the time to expect a blow…so I’m pleasantly surprised and gladdened to read that our lowcountry sailing brethren had such a solid breeze. Regatta aside, you can tell from clicking through their home page that the Beaufort Yacht and Sailing Club has little in common with, say, the Larchmont Yacht Club. From a cultural view Yankees can be ridiculously buttoned up about yacht clubs though I’m sure that they're places in Charleston (see this post) that would one up their eastern cousins. But generally sailing is a more “hoe down” hootenanny-type activity down south – an excuse to BarBQ along the riverbank, banjos picking while the sailors vie for the trophy. Contrast that with the crowd of smirking, farmer-tanned, Long Island Sound-sailing yuppies I threw elbows with at the NOODS after-party tent last September…I pick the hootenanny.